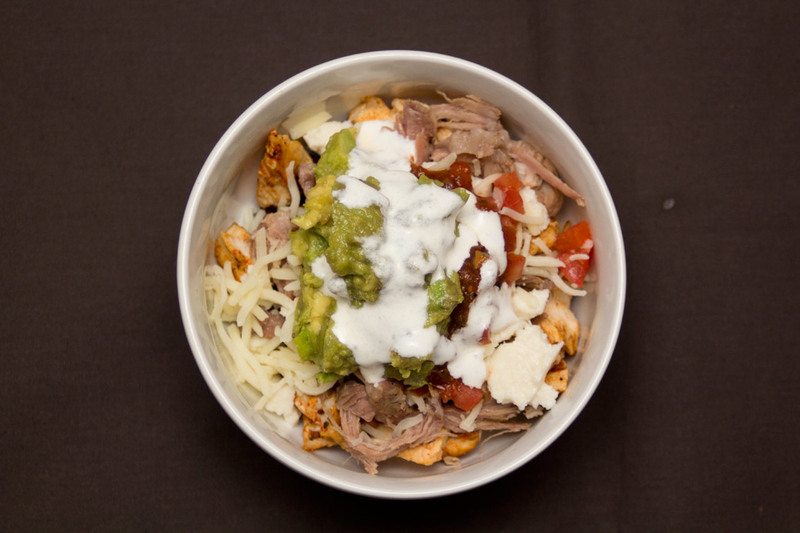 Normally when I’m at a restaurant like Chipotle® I prefer to get a child sized burrito, but I created this recipe for the burrito bowls because I have yet to find a tortilla that can even come close to theirs. 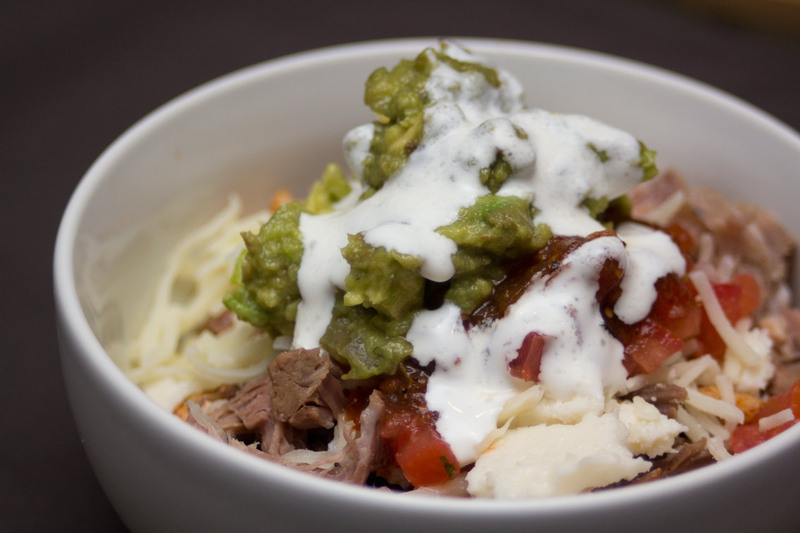 Bachelor Cooking presents our version of a Burrito Bowl! Season the chicken with something tasty and mexican then throw it on the grill (or the George Foreman®) and start it cooking. Next, turn your attention to the rice. I use a rice cooker, if you don’t–you’re on your own. Pour in the rice and the water, then add 2 tbsp of butter. Add the juice from half of your lime to that and turn it on and let it cook. Keep an eye on the chicken. 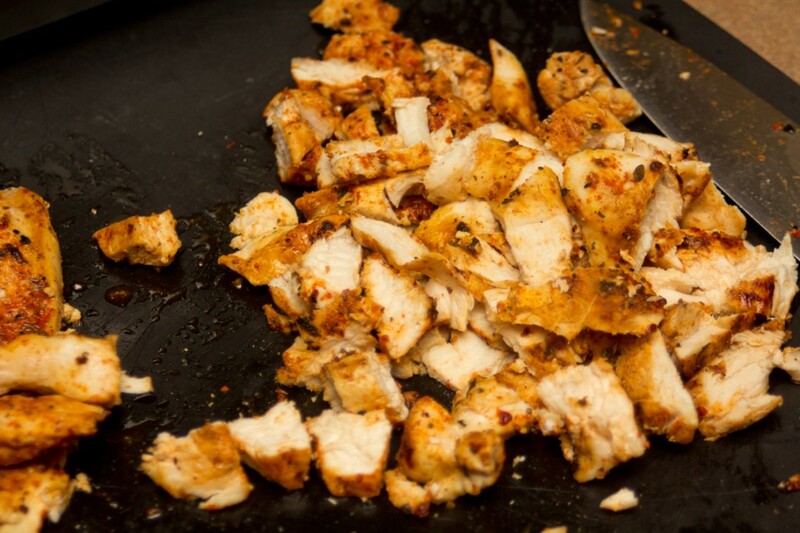 Flip it as you need, you want it to be cooked all the way through without being dry and tough. 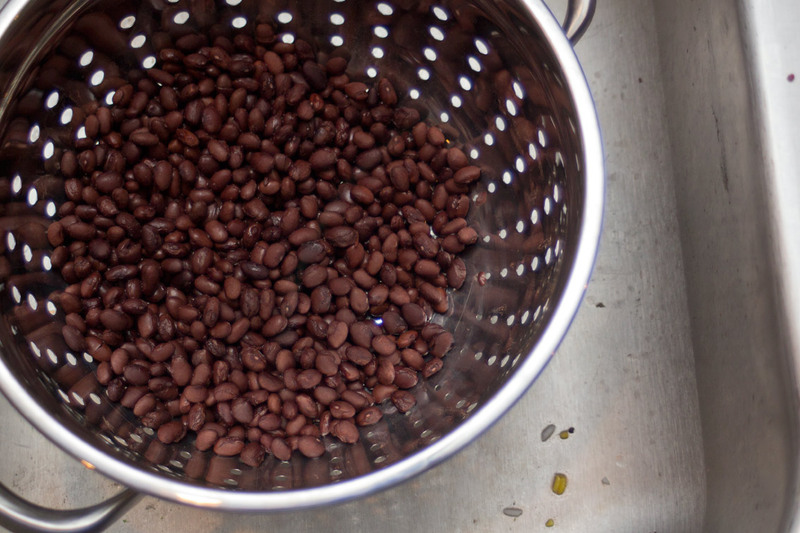 Open the can of beans and drain and rinse them. 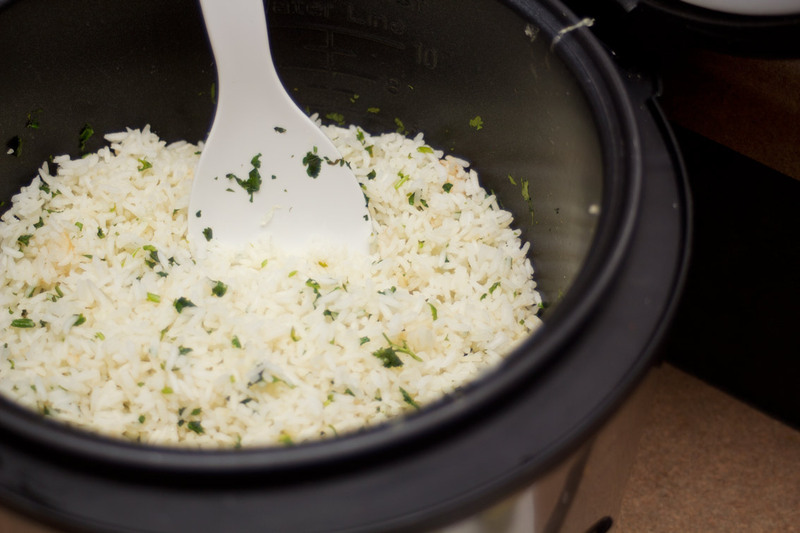 When the rice is finished add the juice from the other half of the lime and stir in a handful of chopped cilantro. Mix everything together with the proportions you like, and enjoy! I had slow-cooked some beef the other day and had leftover brisket so I added it “Barbacoa” style. If you prefer pinto to black–just substitute them–same with just about anything on here. 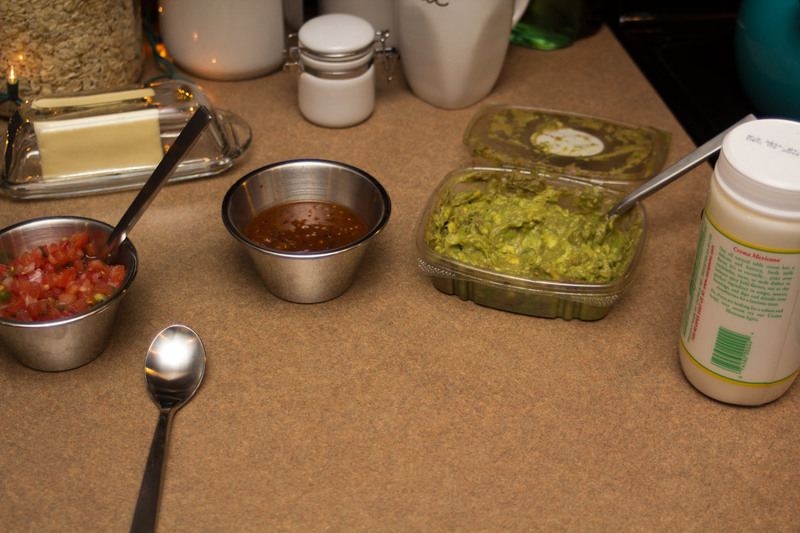 I wanted to add a corn salsa, but I couldn’t find a good one in the store. 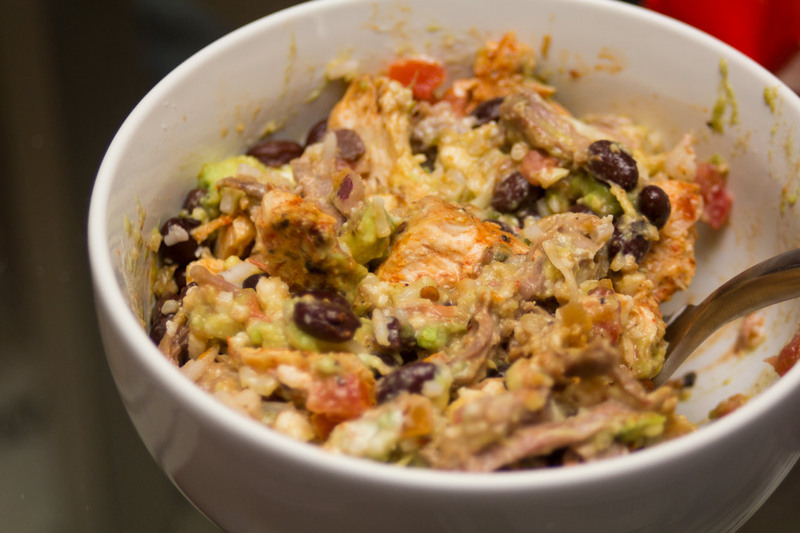 This makes great leftovers, instead of storing everything separate, mix it all together and store it in a lunch sized tupperware. Thanks for reading! We hope you enjoy these quick and tasty recipes from the Bachelor Cooking kitchen.